As well as providing natural looking dentures we also offer a great cost effective denture repair service from our Wirral denture clinic. We offer a while you wait service or can be collected at a time to suit you. 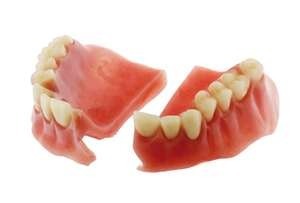 There is a possibility your denture is no longer suitable for purpose due to changes in your mouth. Poorly fitting dentures may also cause damage to hard and soft oral tissues and could well lead to the increased risk of denture fracture. Your dentures should be checked on an annual basis as this not only ensures optimum comfort and fit but it is also a chance to check your oral health and check for any changes in your mouth including your gums and tongue. For FREE advice regarding denture repairs and maintenance, please call our Wirral clinic for FREE on 0800 246 5969. We are open Monday to Friday 8:30 – 5:30 for Denture Repairs.